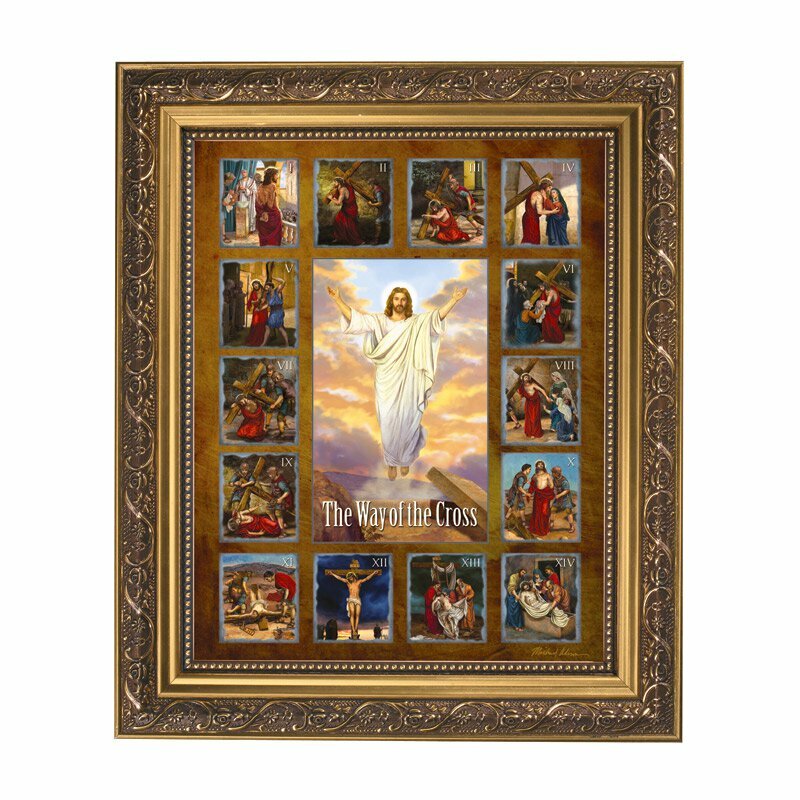 Geffert® offers this artistic portrayal of the Stations of the Cross by Michael Adams. Each station features a colorful image where one can conduct a personal devotion making their way from one station to another and saying prayers. The print is 8" x 10" framed in an Ornate Gold Finish 11" x 13" frame under glass with easel back stand as well as metal hangers for wall mounting. Each framed print comes boxed for easy gifting.